The media has recently been reporting the huge rises in stock valuations of technology companies like Apple, Amazon, Nvidia, Alphabet and Microsoft. With the NASDAQ index pushing past its 2000 high, it has prompted many investors and pundits to question the rise and rise of tech valuations reminiscent of the dotcom bubble. There’s a stark difference between the craze at the start of the millennium versus today – valuations back then were backed by nothing but hot air. Companies being listed had no revenues, no profits but touted “new age” metrics like user clicks and saw their stock prices double or triple within weeks or even days. Traditional valuation metrics like price to earnings, book value, enterprise value to EBITDA, price to sales let alone free cash flow, were thrown out the window. Sell-side analysts became delusional, so did many professionals – some quit the game entirely, legends like Buffett got laughed at and ridiculed by pundits for not taking part in the mania. Indeed, Berkshire did not outperform the tech index back then. Value investing was dead they said, but guess who had the last laugh? Greater fool theory: Valuations were thrown out the window, the thing that pushed the bubble to astronomical heights was simply fools buying overvalued assets in anticipation of selling it to other fools at a much higher price. That was typical bubble behaviour. The companies now that are being painted as “being in a bubble” are backed by solid cash flows and organic growth. Apple is generating enormous free cash flow quarter after quarter, and so is Amazon. Nvidia’s been the hottest stock since the middle of last year when the market suddenly realized their GPUs are the most sought after for processing artificial intelligence. Nvidia could be overvalued due to the sudden craze in AI, AI-related technologies and cryptocurrency mining, but its earnings growth has been explosive. The bubble was in its competitor: AMD. AMD typically produces GPUs that can’t compete head-on with Nvidia’s chips, and they’re losing money. But the AI-driven mania has led to both stocks seeing multi-bagger returns in a single year. EV metrics remain nowhere near frothy levels seen in 2000 despite Apple having a market cap of nearly US$800 billion. There’s a world of difference between a company with an $800 billion market cap company with $260 billion in cash and a company with a $10 billion market cap and no cash and profits. So where is the bubble? Unlike the tech bubble of 2000, cryptocurrencies are different to all other asset classes in that they have no underlying assets. A company still has a table or chair that has some scrap value, but cryptocurrency simply exists in the electrons that whizz between computers all over the world. It’s just like fiat currency that we use, except instead of being backed by the full faith and credit of a certain country’s government, this is backed by the community that mines, trades, and uses it. Cryptocurrencies are an alternative asset class like gold. And just like gold, it has no value apart from the faith kept by the community using it. Although this might make it sound sketchy, cryptocurrencies’ underlying technology is widely sought after by companies and governments worldwide – blockchain. We’ve had an article explaining the basics of blockchain technology before, refer to that if you want a deeper understanding on what powers these cryptocurrencies. Bitcoin, Ethereum, LiteCoin, and Ripple are the big four of the cryptocurrency world, with Bitcoin being synonymous with the term cryptocurrency. Ethereum has seen a massive surge in popularity and could be the only contender that could take on Bitcoin. The other coins could easily be accused of being dubious as they’re as anonymously created as Bitcoin and may not have the same level of trust as their bigger cousins. The differences between each cryptocurrency can be complex but the basic understanding should always be simply the trust that is placed in the system. Bitcoin is definitely the most trustworthy since it’s the largest and most actively talked about; Ethereum has been touted as having a better smart contract platform, which differentiates it from Bitcoin as it makes full use of blockchain technology, showcasing its flexibility to be used in other applications. In layman terms, Bitcoin is a more stable digital currency while Ethereum is a digital currency with add-ons. Coinmap tracks all the various cryptocurrencies and as of today Bitcoin has a market cap of $43.2 billion with Ethereum is close behind at $30.3 billion. The astronomical rise of Bitcoin is captured in the chart above. No other asset class in recent history, not even during the dotcom bubble, has had such a sharp rise in a short amount of time. If you bought $5 in Bitcoin seven years ago, you would now be sitting on $4.4 million! The reasons behind the rise can’t be fully explained either as nobody knows what the underlying asset is (there isn’t any). People sometimes attribute cryptocurrencies as a better alternative to gold – a safe haven asset where no government can regulate it. Flight to safety was the initial response that pundits gave during its initial rise, with investors selling out of negative yielding bonds for fear of more geopolitical clashes, but the meteoric rise in its price doesn’t explain the rationale behind paying ridiculous prices for an asset that isn’t backed by anything. How do we know it’s a bubble? I have had numerous friends who have little to no market experience suddenly becoming cryptocurrency and artificial intelligence experts, persuading me and other friends to join their exclusive club of making money hand over fist. I’ve even had a Grab driver show off to me how much he made trading Ethereum. Just last month, Coinbase, a very famous and well-funded Bitcoin exchange had technical issues due to unprecedented levels of trading and traffic. Brian Armstrong, the co-founder and CEO of Coinbase even tweeted that they had 40,000 new users sign up within a single day. When the financial news media gives you a step-by-step guide on how to trade cryptocurrencies, and the same article on how some teenager became a millionaire by trading Bitcoin being posted again and again by different news outlets for weeks, it’s a bubble. Cryptocurrencies like Bitcoin and Ethereum were created with the intention to bypass pesky regulators and provide a different avenue for paying for things like pizza (by the way, this pizza payment which cost $41 at the time is now worth $21 million) and cars. The current price movements don’t mimic anything that resembles a stable currency used for everyday discretionary or essential purchases, but simply for outsized capital gains. Imagine having the Singapore dollar swinging wildly and even having a flash crash, how would you have the confidence to go out to purchase something? How would sellers have the confidence to tag a price on a product knowing that it could be vastly inflated or deflated within hours? I’m not saying that cryptocurrencies are a scam. I truly believe that they are a great alternative to gold and an entirely new asset class for investors to toy with and for people to leverage on its underlying technology to create a “trustless” system with an undeletable ledger, but the current price behaviour has to end and it will end – it’s only a matter of time. One of the craziest by-products of this mania is ICOs, or initial coin offerings. It’s exactly like an initial public offering (IPO), just without those pesky regulations, banks, cornerstone investors, greenshoe options, and financial data going back three years or even a risk section. It’s used by startups, some of which are dubious, to raise money to fund their ventures. Sound familiar? The people behind it are smart to cash in on the ongoing mania, but the investors that are clamouring for these deals are essentially betting on the rise of those newly issued cryptocurrencies, which are sometimes backed by nothing but air. Bubble-like behaviour: Look around you, and watch out for seemingly normal people believing and talking about cryptocurrencies. When suddenly something becomes the talk of the town simply because of its meteoric rise in its price and people suddenly have an interest and are trading it in hopes of making money, it’s a bubble. So what do we do when the bubble pops? As cryptocurrencies have no underlying assets, there’s no balance sheet nor earnings projection to fall back on to calculate the scrap value of the security. There is no bankruptcy protection either as the security is unregulated. After the dotcom bubble bust, nearly every single dubious company went from hero to zero and then bust over the course of a few months. In typical Darwinian fashion, only the strong remained – Amazon, Google, Microsoft, IBM, HP, Motorola, etc. These stocks, particularly the first three, would then go on to be one of the best performing stocks in the world till date. It all boils down to trust – do you trust that once all the weak hands have been shaken out of a bubble bust, the cryptocurrency you’re eyeing is and will continue to be the go-to cryptocurrency for transactions? Bitcoin will certainly hang around, it’s the de-facto cryptocurrency for most transactions and it won’t go away any time soon. Ethereum will probably remain as well because of its platform-like characteristics that allows users to engage in smart contracts. The only issue here will simply be the price – at what price will these cryptocurrencies be considered fair? Some might argue that technical analysis could be the only way to find out but even technical analysis has been criticized for being inaccurate for equities and forex, what more for cryptocurrencies. Its price relative to the Singapore dollar (or your local currency) could also affect your returns. Cryptocurrencies are often paired with a currency to show its relative price movement, the most popular is obviously the U.S. dollar. Should there be adverse movements in the USD vis-à-vis the SGD, it could drastically affect your returns and outlook. Cryptocurrencies are an exciting asset class that has now gotten out of hand due to numerous speculators pushing up the prices just for capital gains — and not for its use in transactions or smart contracts. There is still trust in the system and there will be trust even after the bust, it’s only after many weak hands are shaken out of the market after the bust will we truly discover a more reasonable price. Watch out for friends, relatives, taxi drivers or fishmongers who suddenly talk up not just cryptocurrencies but other assets in general. When seemingly normal people have a sudden interest in something that has run-up multi-fold, you know it’s inherently bubbly and it will only be a matter of time before it all comes back down to reality. This bubble is forming before our very eyes and it’s highly recommended that you keep track of it especially if you’re new to investing or trading – it will provide you with invaluable lessons that will hone your investing skills and critical thinking to ascertain whether a certain “madness of the crowd” has viability in the long-run, or not. 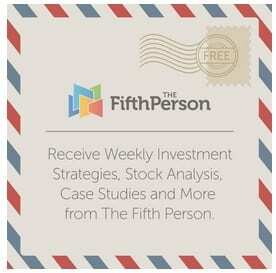 The Fifth Investor is an equities and fixed income investor. He currently works at the asset management arm of a large Singapore conglomerate and prefers to remain anonymous.